Under a $3 million grant from the National Cancer Institute, the CUNY and city research team will spend five years tracking the use of local parks by 2,000 residents in 40 neighborhoods and exploring the extent to which it correlates with their physical and mental health. The project grew out of the city’s Community Parks Initiative, a major capital investment in smaller neighborhood parks in underserved neighborhoods launched by Mayor Bill de Blasio in 2014. The $285 million program is changing the face of public recreation in the city’s most densely populated low-income communities, redesigning and renovating approximately 65 parks that haven’t had significant improvements in decades; bringing quickly accomplished, high-impact targeted improvements to more than 80 such parks and creating new recreational and fitness programs for local residents. “Building and sustaining an equitable urban park system is an effort that will thrive on research-based approaches to understanding the connections between public health and public space. Participants in this study have the opportunity to act as change agents for their communities as we learn more about the social determinants of health. By conducting parks and health outcomes research on such a large scale, PARCS promises to produce the kind of crucial data and analysis needed to guide the next generation of park planning,” said NYC Parks Senior Planner Jennifer Gardner, a co-investigator in the study. The CUNY research collaboration with the city — called the Physical Activity and Redesigned Community Spaces (PARCS) study — aims to measure the impact of public investment in parks in urban neighborhoods. The study is unprecedented in scale and could have far-reaching implications for urban planners across the country and globally, says Terry Huang, the CUNY professor of community health who is leading the research project. 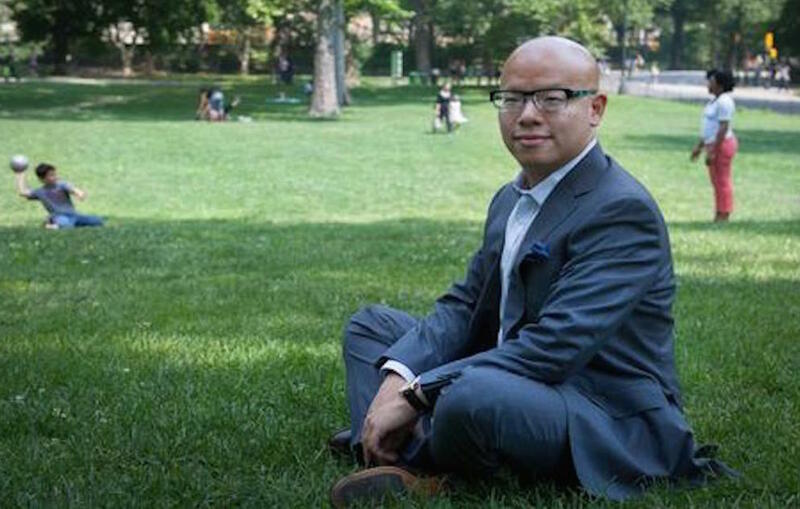 Between June and December, Huang and his colleagues in the CUNY School of Public Health and NYC Parks will recruit 50 residents in each of 40 neighborhoods throughout the city to be the study’s volunteer participants. Half will be from neighborhoods with parks that are being renovated under the Community Parks Initiative. The other half will serve as the control group — residents in neighborhoods of comparable socioeconomics but whose local parks have not been designated for capital renovation during the study. Volunteers will start by wearing an accelerometer device that will record measures of their normal physical activity over the course of one week. Those measurements will be repeated once a year for five years, yielding aggregate community data that can be tracked and correlated with park use recorded by a GPS app on the volunteers’ smartphones. The app will automatically register and record when they enter their designated neighborhood park. In addition, the volunteers will self-report aspects of mental health through surveys on the smartphone app. The CUNY Graduate School of Public Health and Health Policy promotes health and social justice in New York City and across the globe through innovation and leadership. The mission of the School is to provide a collaborative and accessible environment for excellence in education, research, and service in public health, to promote and sustain healthier populations in New York City and around the world, and to shape policy and practice in public health for all. More information at www.sph.cuny.edu.